Dirt and Street Cycle is an authorized DFT dealer and installer. 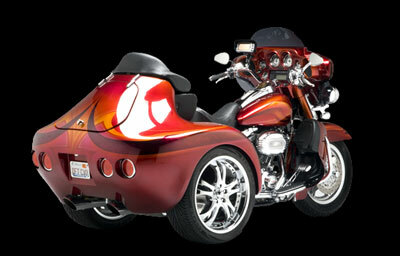 We can convert your motorcycle into a trike with a kit from DFT. DFT offers a superior ride because the trike kits have an independent rear suspension, giving a smoother ride and better handling. We offer kits for most Harley-Davidson models, as well as Honda Valkyrie and GL series. Contact us today to go from two wheels to three. Visit DFT's site here for trike model information and specifications.